One drive fits all with Iomega's new AutoDetect technology. Connects the drive to either SCSI or parallel ports. Works with both PCs and Macintosh computers. The lightweight universal power supply weighs only 4oz. The power supply has an on/off switch that lets you power down when the drive is not in use. Uses 100MB Zip Disks. Does not come with Zip Disks. 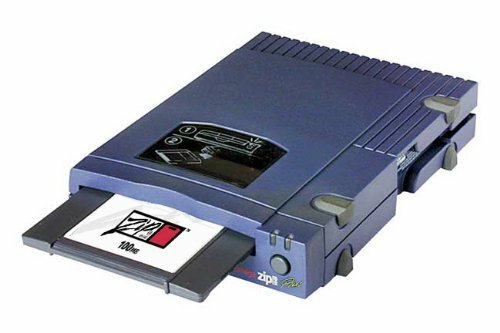 If you have any questions about this product by Iomega Zip Drive, contact us by completing and submitting the form below. If you are looking for a specif part number, please include it with your message.